Wikimedia Commons has media related to Russia. The main article for this category is Russia. See also Category:Soviet Union, since the histories of the two overlap heavily. The foreign relations of the Russian Federation is the policy of the government of Russia by which it guides the interactions with other nations, their citizens and foreign organizations. This article covers the foreign policy of the Russian Federation since the dissolution of the Soviet Union in late 1991. Vladimir Vladimirovich Putin is a Russian politician and former intelligence officer serving as President of Russia since 2012, previously holding the position from 2000 until 2008. In between his presidential terms he was also the Prime Minister of Russia under his close associate Dmitry Medvedev. Vladikavkaz, formerly known as Ordzhonikidze (Орджоники́дзе) and Dzaudzhikau (Дзауджика́у), is the capital city of the Republic of North Ossetia-Alania, Russia. It is located in the southeast of the republic at the foothills of the Caucasus Mountains, situated on the Terek River. Population: 311,693 (2010 Census); 315,068 (2002 Census); 300,198 (1989 Census). Vladikavkaz is one of the most populous cities in the North Caucasus. 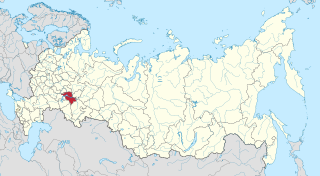 The Republic of Khakassia, or simply Khakassia is a federal subject of Russia. Its capital city is Abakan, which is also the largest city in the republic. As of the 2010 Census, the republic's population was 532,403. A city of federal importance or federal city in Russia is a city that has a status of both an inhabited locality and a constituent federal subject. The federal subjects of Russia, also referred to as the subjects of the Russian Federation or simply as the subjects of the federation, are the constituent entities of Russia, its top-level political divisions according to the Constitution of Russia. Since March 18, 2014, the Russian Federation constitutionally has consisted of 85 federal subjects, although the two most recently added subjects are recognized by most states as part of Ukraine. Aleksandr Gelyevich Dugin is a Russian political analyst and strategist known for his fascist views. European Russia is the western part of the Russian Federation, which is part of Eastern Europe. With a population of 110 million people, European Russia has about 77% of Russia's population, but covers less than 25% of Russia's territory. European Russia includes Moscow and Saint Petersburg, the two largest cities in Russia. Of all the languages of Russia, Russian is the only official language at the national level. There are 35 different languages which are considered official languages in various regions of Russia, along with Russian. There are over 100 minority languages spoken in Russia today. Valentina Ivanovna Matviyenko (Russian: Валенти́на Ива́новна Матвие́нко, IPA: [vəlʲɪnˈtʲinə ɪˈvanəvnə mətvʲɪˈjɛnkə], Ukrainian: Валентина Іванівна Матвієнко, is a Russian politician serving as the Senator from Saint Petersburg and Chairwoman of the Federation Council since 2011. Previously she was Governor of Saint Petersburg from 2003 to 2011. Kirill or Cyril is a Russian Orthodox bishop. He became Patriarch of Moscow and all Rus' and Primate of the Russian Orthodox Church on 1 February 2009. Russia–Turkey relations is the bilateral relationship between the Russian Federation and the Republic of Turkey and their predecessor states. Relations between the two are rather cyclical. From the late 16th until the early 20th centuries, relations between the Ottoman and Russian empires were normally adverse and hostile and the two powers were engaged in a large number of Russo-Turkish wars, one of the longest wars in modern history. However, in the early 1920s, as a result of the Bolshevik Russian government′s assistance to Turkish revolutionaries during the Turkish War of Independence, the governments of Moscow and Ankara developed warm relations. Relations turned sour at the end of WWII as the Soviet government laid territorial claims and demanded other concession from Turkey. Turkey joined NATO in 1952 and placed itself within the Western alliance against the Warsaw Pact during the Cold War, when relations between the two countries were at their lowest level. The following outline is provided as an overview of and topical guide to Russia. The coat of arms of the Sakha Republic, in the Russian Federation, is one of the official symbol of the Sakha Republic, alongside with the flag and the national anthem of the Sakha Republic. The coat of arms consisted of a circle, of which in the center is an red silhouette of a horse rider with a six-legged horse holding a banner, based on the caveman paintings of the "Shishkin pisanitsa", against a white sun background. The image is place on a frame with traditional national ornament in the form of seven rhombic crystal-like figures and the inscriptions "Республика Саха (Якутия) • Саха Өрөспүүбүлүкэтэ".The coat of arms was used officially since 26 December 1992.